Introduction: Sinonasal teratocarcinosarcoma (SNTCS) is an uncommon and very aggressive tumor that often involves the anterior skull base. The histopathologic findings of this neoplasm comprise a highly complex malignant tumor with combined features of carcinosarcoma and teratoma. Case Presentation: A 34-year-old woman with SNTCS of the nasopharynx who had endoscopically operated twice (36 and 18 months ago) and received 33 fractions (66 Gy) of radiotherapy after the second operation, developed left neck metastasis about nine and half month after the second operation. Functional neck dissection was performed for her about twelve months later. The patient received 27 fractions (54 Gy) of radiotherapy again. She had been well during her follow-ups. Conclusion: According to the medical literature, patients who were treated with surgery and adjuvant chemoradiation showed lower recurrence and better survival rate than those who were treated with surgery and radiotherapy, however, the number of patients who were treated with surgery and chemoradiotherapy was too small. Thus, radical resection plus adjuvant radiotherapy is currently the most acceptable treatment. The sinonasal teratocarcinosarcoma (SNTCS) is an uncommon and very aggressive tumor that often involves the anterior skull base . The SNTCS is usually found in adults with the average age of 54.5 years . Fewer than 100 cases of the SNTCS have been reported [1 - 4]. SNTCS has a poor prognosis with frequent recurrence and metastasis . The most common treatment method is a multimodality treatment including surgery and postoperative adjuvant radiotherapy . This report aimed to draw attention to the vital role of radiotherapy and chemotherapy as the options in the management of SNTCS. We also discussed whether patients with SNTCS should be treated with the elective neck dissection at the time of the initial surgery or with the therapeutic neck dissection after the nodal metastasis. A 34-year-old woman presented to outpatient otolaryngology clinic of Hazrat Rasoul Akram Hospital, Tehran, Iran, a tertiary medical center, with the complaint of left cervical mass for 10 weeks. She had a history of left nasopharyngeal mass originated from the roof of the nasopharynx that was operated endoscopically three years ago with the histopathologic diagnosis sinonasal of SNTCS. She was admitted 18 later with the same complaint and image-guided endoscopic resection of the left sinonasal tumor was performed. Patient completed 33 fractions (66 Gy) of radiotherapy after the second surgery. The patient did not have any other medical problem. On examination, a left cervical swelling was seen at level 2. On palpation of mass, it was 3cm × 4 cm in size, firm in consistency, and fixed to deep structures. It was not tender or erythematous. Computed tomography showed the left cervical mass of 39 mm × 26 mm in size that was suggestive of an enlarged lymph node at level 2 (Figure 1). The fine needle aspiration biopsy of the mass showed atypical cells in a severely necrotic and inflammatory background. The patient was scheduled for operation under general anesthesia. Enlarged lymph node at the level 2 was removed and modified radical neck dissection (level 1b to 5) was performed. Internal and common carotid arteries and internal jugular vein were not involved with tumor. Histopathologic examination of the cervical mass revealed a mixture of carcinomatous, sarcomatous, and teratoid elements. These findings clearly suggested the diagnosis of metastatic SNTCS (Figure 2). Patient completed 27 fractions (54 Gy) of radiotherapy. In her post-operation follow-ups, the patient was well without any recurrence or new metastasis. Figure 2. Histopathologic findings of metastatic sinonasal teratocarcinosarcoma. A, The epithelial component including undifferentiated cells with glandular or ductal structure (Hematoxylin and Eosin stain, ×10). B, The epithelial component including undifferentiated cells with glandular structures (Hematoxylin and Eosin stain, ×25). C, The epithelial component including undifferentiated cells with glandular structures (Hematoxylin and Eosin stain, ×40). D, Mesenchymal component with immature cartilage tissue appear the character of teratoma (Hematoxylin and Eosin stain, ×40). The SNTCS is highly unusual and very invasive tumor, with a poor prognosis [1, 5, 6]. There is a strong male predilection (male to female ratio, 7:1) [1, 5, 6]. These neoplasms had been previously labeled as blastoma, teratocarcinoma or malignant teratoma . These tumors have histopathologic features that make them difficult to manage . Histopathologic findings of this neoplasm comprise a highly complex malignant tumor with combined features of carcinosarcoma and teratoma. Benign and malignant epithelial, mesenchymal, and neural components, including immature tissue with blastomatous features, are generally present . To establish the diagnosis, the malignant epithelial elements and two or more malignant mesenchymal components, such as bone, fibroblasts, cartilage, and smooth muscle should be present in the histopathologic examination to establish diagnosis. The presence of organoid structures, such as glandular and tubular formations and “fetal-appearing” clear-cell squamous epithelium, is an important aspect for recognizing teratocarcinosarcoma [1, 7, 8]. Nasal obstruction, epistaxis, headache, visual changes (diplopia/ocular complaints), proptosis/exophthalmos, mass/swelling, anosmia/hyposmia, pain, behavioral changes, sinusitis, anesthesia/hypesthesia/numbness, confusion, dysphagia/odynophagia, nasal polyps, papilledema, tears/ epiphora, ataxia, nausea, otitis media, shortness of breath and vomiting are reported as clinical manifestations of the SNTCS in previous case reports. Anatomic sites and areas of involvement were the nasal cavity (including meatuses and turbinates), ethmoid sinus, maxillary and sphenoid sinuses, nasopharynx, maxilla, cribriform plate, intracranial involvement, frontal sinus, orbit, anterior cranial fossa and pharynx . One tumor has been reported to arise from the dorsum of the tongue [9, 10]. The most common treatment method has been multimodality treatment including radical surgical resection followed by radiation therapy . In the present case report, the radiation therapy was administered twice after second surgery for local recurrence and third surgery for neck metastasis. If radiotherapy had been performed after the first radical surgery, the treatment might have been more successful. In the only systematic review on the SNTCS, it was shown that patients who were treated with surgery and followed with radiotherapy and chemotherapy had no metastasis, lower recurrence, and better survival rate than those treated with surgery and radiotherapy. It indicates the possible role of chemotherapy in the management of SNTCS . Since the sample size was small, more standard should be available confirm the surgery followed by concurrent chemoradiation in the adjuvant setting as the treatment approach in SNTCS. Thus, radical resection with adjuvant radiotherapy is currently the most acceptable treatment. In a case report in a 52-year-old man, recurrent cervical metastasis developed in the 18th, 23rd, and 28th month after the primary operation. The patient died of lung metastasis 43 months after the primary operation in spite of multiple aggressive neck surgeries and postoperative adjuvant radiotherapy . An elective neck dissection in the early stage of the disease was suggested by some researchers in Taiwan . They proposed elective neck dissection may decrease the risk of lower cervical lymph node or distant metastasis in patients with SNTCS . In a systematic review of 49 articles, out of 71 cases, there were 21 cases of recurrence, eight cases with metastasis, and six cases of both recurrence and metastasis . Less than 20% of patient had metastasis . Neck metastasis incidence was not mentioned in this systematic review. We need more case series with good follow ups and clear incidence of neck metastasis to draw any conclusions regarding elective neck dissection in SNTCS. Two cases of SNTCS with intracranial extension which had been reported unsuitable for surgery were treated with neoadjuvant chemotherapy (NACT). Both patients had a partial response with etoposide and cisplatin chemotherapy (EP/PE); subsequently they underwent R0 resection. The R0 resection indicates no macroscopic residual tumor at surgery with negative results in all margins for tumor on microscopic examination. The cases highlighted the fact that NACT with EP/PE regimen could be considered in technically unresectable SNTCS . A more standard reporting system including the recording of tumor size or grading system, positive neck node, distant metastasis, treatment modality and long-term follow-up seems to be a well-worn path heading to right direction in the management of SNTCS. Management of SNTCS is multimodality treatment that includes radical tumor resection and postoperative adjuvant radiotherapy which is the most acceptable treatment approach for this tumor thus far. The SNTCS is a chemosensitive neoplasm. NACT with cisplatin and etoposide regimen in advanced SNTCS may be considered in technically unresectable SNTCS. AM and MK presented the case and drafted the manuscript. SB and ESK helped in manuscript drafting and data presentation. DJ and HS helped in manuscript drafting and designed the study. All authors have approved the final version of manuscript. A written informed consent was signed by patient for reporting her case. All the personal information remained anonymous. Misra P, Husain Q, Svider PF, Sanghvi S, Liu JK, Eloy JA. Management of sinonasal teratocarcinosarcoma: a systematic review. American Journal of Otolaryngology. 2014;35(1):5-11. Joshi A, Noronha V, Sharma M, Dhumal S, Juvekar S, Patil VM, et al. Neoadjuvant chemotherapy in advanced sinonasal teratocarcinosarcoma with intracranial extension: Report of two cases with literature review. Journal of Cancer Research and Therapeutics. 2015;1;11(4):1003. Joshi A, Dhumal S, Manickam D, Noronha V, Bal M, Patil V, et al. Recurrent sinonasal teratocarcinosarcoma with intracranial extension: Case report. 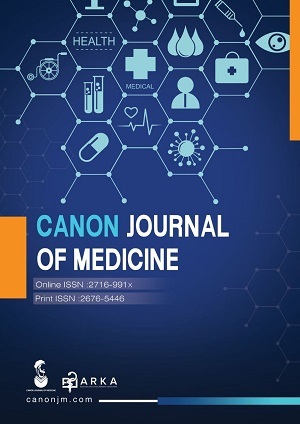 Indian Journal of Cancer. 2014;1;51(3):398. Chakraborty S, Chowdhury AR, Bandyopadhyay G. Sinonasal teratocarcinosarcoma: Case report of an unusual neoplasm. Journal of Oral and Maxillofacial Pathology: JOMFP. 2016 ;20(1):147. Simth SL, Hessel AC, Luna MA, Mapica A, Rosenthal DI, El-Naggar AK. Sinonasal teratocarcinosarcoma of the head and neck: a report of 10 patients treated at a single institution and comparison with reported series. Archives of Otolaryngology-Head & Neck Surgery. 2008;134(6):592-595. Kazemian A, Manshadi HD, Kermani MS. Sinonasal Teratocarcinosarcoma; Report of a case. Iranian Journal of Radiation Research. 2004;15;2(3):159-162. Vranic S, Caughron SK, Djuricic S, Bilalovic N, Zaman S, Suljevic I, et al. Hamartomas, teratomas and teratocarcinosarcomas of the head and neck: report of 3 new cases with clinico-pathologic correlation, cytogenetic analysis, and review of the literature. BMC Ear, Nose and Throat Disorders. 2008;24;8(1):8. Heffner DK, Hyams VJ. Teratocarcinosarcoma (malignant teratoma?) of the nasal cavity and paranasal sinuses: a clinicopathologic study of 20 cases. Cancer. 1984; 15;53(10):2140-2154. Sarin YK. An unusual congenital nasopharyngeal teratoma. Pediatr Surg Int. 1999;15(1):56-57. Crazzolara R, Puelacher W, Ninkovic M, Zelger B, Buchberger W, Meister B, et al. Teratocarcinosarcoma of the oral cavity. Pediatric Blood Cancer. 2004 ;43(6):687-691. Su YY, Friedman M, Huang CC, Wilson M, Lin HC. Sinonasal teratocarcinoma. American Journal of Otolaryngology. 2010;31(4):300-303. Joshi A, Noronha V, Sharma M, Dhumal S, Juvekar S, Patil VM. Neoadjuvant chemotherapy in advanced sinonasal teratocarcinosarcoma with intracranial extension: Report of two cases with literature review. Journal of Cancer Research and Therapeutics. 2015;1;11(4):1003.